JEE Main Eligibility Criteria 2019: JEE Main will be held twice in a year from year 2019 as per new rules prescribed by National Testing Agency (NTA). The official authority of NTA will commence the JEE Main Application Form in the month of September for the January session examination and for April session examination; application form will be release in the month of December. All interested candidates are advised to check the eligibility criteria before applying for the JEE Main 2019. Applicants who will satisfy the JEE Main Admission Criteria will be considered for the admission into IITs, NITs, CFTIs, IIITs and other private engineering colleges. Students should not try unfair means to get falsely eligible. 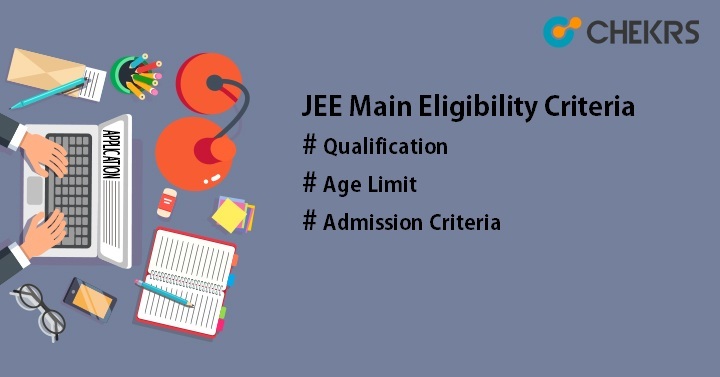 The JEE Main Eligibility Criteria is normally general for all students, with modifications in conditions for reserved categories. OCIs/PIOs/ NRIs and Foreign national candidates will be also eligible for JEE Main. Maximum no of attempts for JEE Main will be 3 times. Aadhar Card is mandatory to appear in JEE Main, without authentication of Aadhar card; no one can proceed for next steps. Candidates must have born on or after 1 October, 1994. For SC/ST/ PwD candidates, there will be age relaxation of 5 years. Candidates who born on or after October 1, 1989 can apply for JEE Main. Date of birth mentioned in the Secondary Education Board/ University certificate will be valid. Students who will appear in class 12th or equivalent exam in the year 2019 can apply for JEE Main. 2017/2018, 12th passed out students will be also eligible. Candidates must have subjects such as Physics, Chemistry/ Biology/ Biotechnology/ Technical Vocational subject, Mathematics, English and one optional subject in 10+2 or equivalent qualifying exam. Students should have passed 10+2 or equivalent exam from any recognized board or state board. No passing criteria or percentage is fixed for appearing in the exam. Diploma holders can also apply for JEE Main 2019 Application Form. Candidates who appeared in 12th exam in 2016 but failed in that year and again appeared in 2017 and passed in 2017 will not be considered as eligible candidates. To get admission in government engineering colleges like NITs, IITs, IIITs, CFTIs etc, must obtained 75% minimum aggregate in class 12th. Candidates can either be in top 20 percentile in the respective board. For reserved categories candidates, minimum 65% aggregate in marks is required to get NIT, IIIT & CFTI etc engineering colleges. Note: JEE Main 2019 Eligibility Criteria will be same for dropper students. To know more about JEE Main Eligibility Criteria, Click Here.Check the procedure to fill the JEE Main Application Form. Tags:JEE Main 2019, JEE Main Application Form, jee main eligibility criteria, JEE Main Exam, jeemain.nic.in.